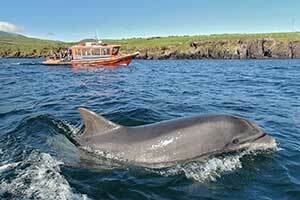 The 4 Star Dingle Skellig Hotel is the ideal base for your family break in Kerry. 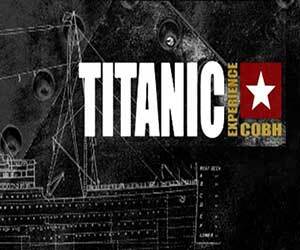 They have a reputation for comfort, hospitality and service that has excelled, this guarantees the holiday experience of a lifetime. The Dingle Skellig Hotel pride themselves in the care and courtesy that they pay to their guests, and so throughout your stay, the team will gladly answer any queries you may have to ensure that your visit and time with them is as relaxing and enjoyable as possible. 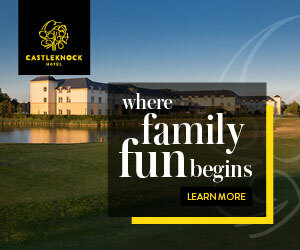 There is a number of accommodation options for families, a maximum of 2 adults and 2 children in standard family rooms and the option of connecting rooms for larger families. Family Fun Tip:- Unfortunately their online booking system does not allow you to reserve connecting rooms online. 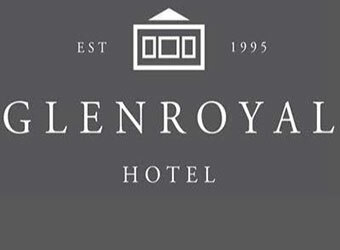 There are plenty of dining options available at the hotel including the AA Rosette Award winning Coastguard Restaurant, Blaskets Bar and Gallurus Lounge. There is also a specially designed children’s programme which is most valued by parents and children alike, is the Junior Evening Meal. Our Junior Evening Meal is served between 5.30pm and 6.30pm daily and is a great time for the children to meet new friends. Dingle Skellig Hotel offer a number of services and facilities, which cater specifically for your family’s needs, from tots to teens!! These include the Skellig Creche, Fungi Kids. There is a ultilities room available 24 hours adjacent to the Skellig Crèche and Fungi Kids Club offering a baby changing area, kitchenette including Microwave, Steriliser, Kettle, Washing Maching & Dryer. 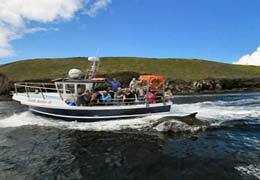 At the Dingle Skellig Hotel young guests are very important, so every effort is made to ensure that they enjoy their stay. The Skellig Crèche and its experienced staff cater for children from 4 months to 4 years and provide a friendly and safe environment for our youngest guests. It is a Toddlers Wonderland full of colourful pictures, toys and activities.The Skellig Crèche allows parents to rest assured that their child is well taken care of enabling them to take a few hours for themselves to enjoy the Leisure facilities or The Peninsula Spa. 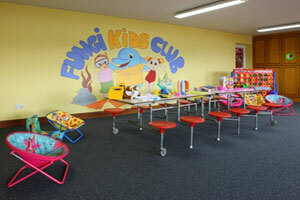 The Fungi Kids Club caters for children over the age of four and provides a range of entertainment and activities. The Fungi Kids Club leaders entertain the children in a safe and supervised environment. 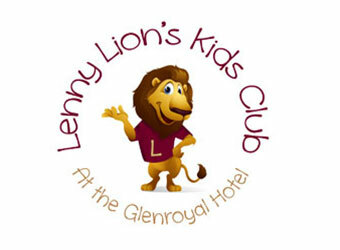 The club programme includes Pool Games, Arts & Crafts, Talent Nights, Quizzes, Bouncing Castle, trips to Dingle Oceanworld and lots, lots more. The Fungi Kids Club is free of charge however extra activities such as the trips to Oceanworld, are at a minimum charge. The Fungi Kids Club is available in the high season seven days a week and in the low season, at weekends and school holidays. 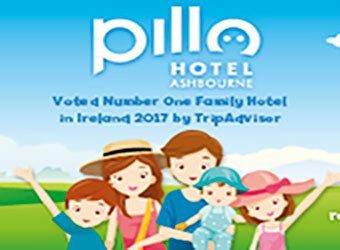 The Award Winning Skellig Leisure Club & Pool is a firm favourite with guests both young and old. Ideal for that overcast day or for relaxing tired muscles after an invigorating day exploring the outdoors. Kayak with Fungi, Sunset Kayak Trips, Hill Walking, Mountain Biking, Climb Mount Brandon. 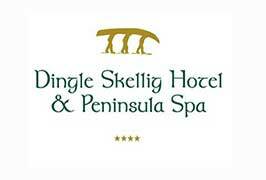 The Dingle Skellig Hotel & Peninsula Spa is located on the Dingle Peninsula the most westerly town in Ireland and Europe, yet it is only 50 minutes from Kerry Airport and 2.5 hours from both Cork and Shannon Airports.